Walk, slide, slip, swim and dive through canyons and deep pools - the trip culminates in a 6 metre leap into a gorgeous pool at Lions Falls. 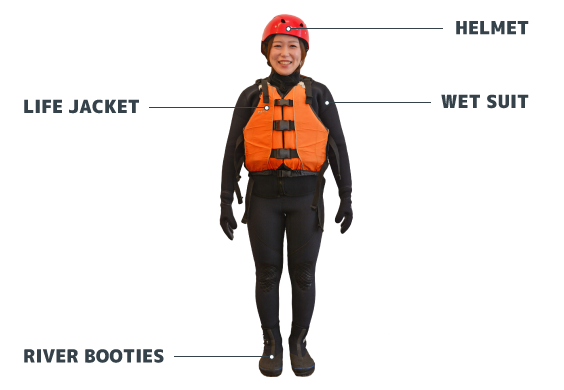 But no worries - you’ll be outfitted with all the relevant safety gear, including a wet suit, life vest, helmet, and your own qualified and experienced guide. Dates Of Operation: July 14th- September 9th, 2018. Once you are ready, our guides will instruct you how to get fitted out. The below is the standard for our Canyoning trips. Niseko is an outdoor playgroud during summer. If you like canyoning, then you will likely be interested in one of these other exciting activities.